What is "local device name"? The drive letter to which the network file share is mapped? Apparently, "local device name is already in use." 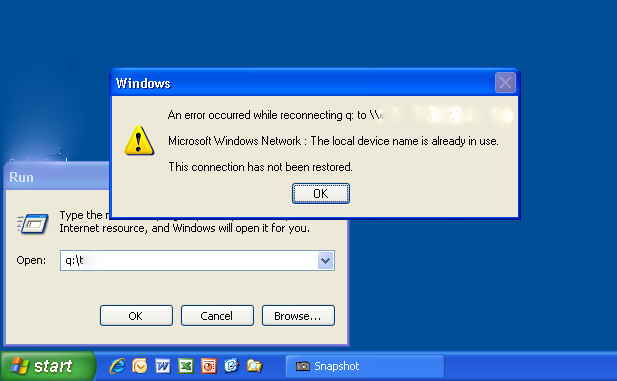 is the error message displayed when I try to access a mapped file share from a Windows workstation after the share has been removed from the specified server. So why not report something like "The file share does not exist"?